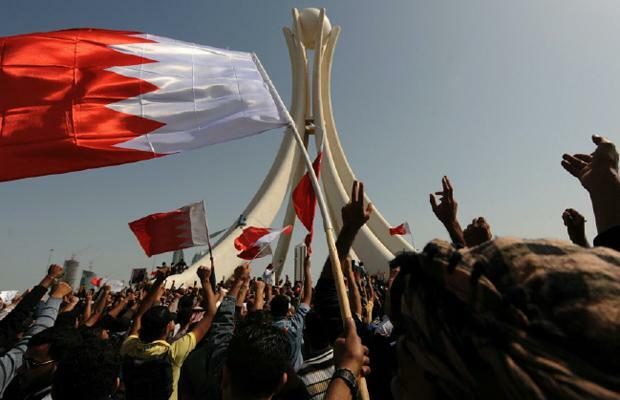 Demonstrators in shia-dominated Bahrain locked horns Wednesday with security forces as they marked the seventh anniversary of the 2011 uprising that was clamped down by the ruling Sunni family. Dozens demonstrators took to the streets in capital Manama. They chanted anti-regime slogans and paid tribute to those detained in the Gulf state’s jails, AFP reported. Security forces responded with tear gases and live ammunitions, reports say. There has been no estimate of the number of casualties. The ruling Sunni family has always finger-pointed Iran for fomenting opposition and masterminding terror acts in the Kingdom. Written by: Jaber Ali on February 15, 2018. Posted by Jaber Ali on Feb 15 2018. Filed under Gulf News, Headlines. You can follow any responses to this entry through the RSS 2.0. Both comments and pings are currently closed.